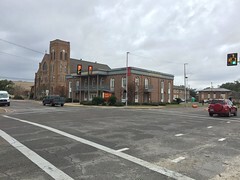 Strangely enough, while James Clark Harris did alot of design and construction work in Carrollton, it doesn’t appear that he was the architect or builder for any of the historic churches in town. 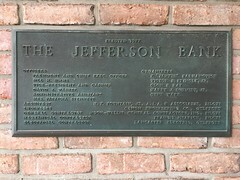 He did design the Teoc Presbyterian Church, out in the western part of the county, where he was an elder, and maybe he designed some of the earlier church buildings for the congregations in Carrollton. More study really needs to be done on our Mr. Harris–I suspect there are lots more buildings out there that are the fruit of his labor. Nevertheless, the churches I saw on the pilgrimage Saturday were all really wonderful and very different from each other. Each of the buildings, in its own way, combined sophisticated design and ornament with simple craftsmanship that highlighted the natural qualities of wood on the interior. Five churches were open for pilgrimage: Bear Marsh Missionary Baptist, Carrollton Baptist, Carrollton Methodist, Carrollton Presbyterian, and Grace Episcopal. I only got into the last three, as I was pressed for time. I had enough light to take a picture of the Baptist church, but it was closed by the time I made my way over there. The interiors of the three I found open were more than enough to keep me occupied though. I don’t want to overload my readers’ internet connections with too many pictures, so if you want to see more, check out my Carrollton set on Flickr. 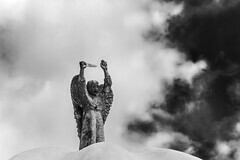 The Carroll County Development Association also has a good section devoted to historic sites in and around Carrollton which you too can see simply by clicking here. According to the helpful guide at the Presbyterian church, the seats came from a theater, and I assume they replaced the original pews. Sunday School rooms were added at the rear of the church in the 1920s, and those two doors flanking the pulpit area lead into those rooms. I suspect the interesting wood screens behind the pulpit date to this 1920s alteration as they seem more stripped down and modern than I would expect in the 1890s, and it wouldn’t surprise me if the theater seats also are from this period, maybe even later. After spending some time at the Presbyterian Church, I wandered around the corner to Grace Episcopal Church (1883), which it is conjectured was designed by a Boston architect William Pitt Wentworth. 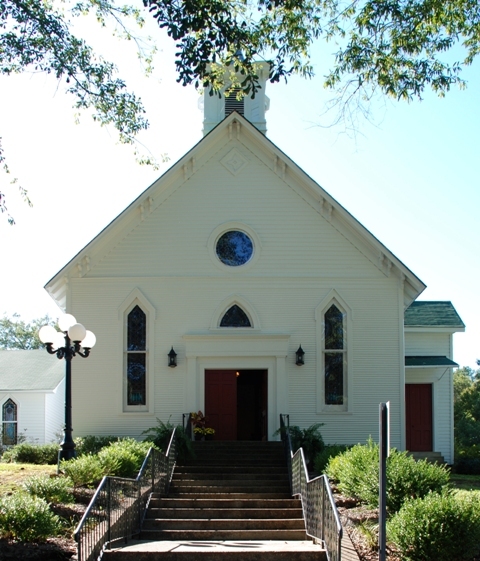 Wentworth is known to have designed the 1884 St. James Episcopal Church in Port Gibson, a church that also features this side entrance plan favored by Anglican churches but not very common in Mississippi. 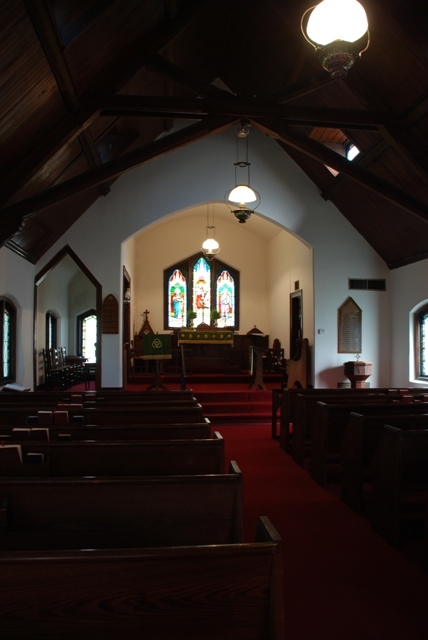 Like the Presbyterian church, Grace Episcopal’s interior is replete with stained wood and heavy wooden trusses. The truss finishes are more rustic here at Grace than in the Presbyterian church. On the other side of the courthouse square stands the Methodist Church, somewhat oddly (to me at least) not facing the courthouse. 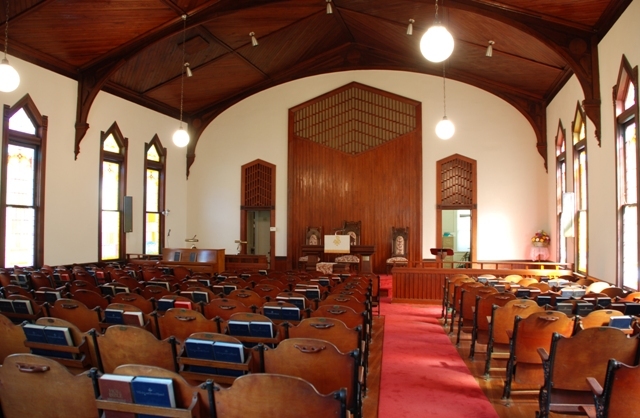 This frame building possibly was designed by prominent mail-order architect Benjamin D. Price, whose churches can be found all over the United States, particularly in Methodist churches as he had a special arrangement with that denomination. This building started out with two separate entrances on the facade, flanking two Gothic-arched windows. 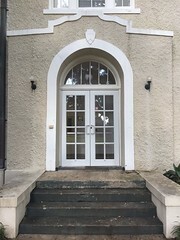 In the early 1930s, according to the church history conveniently provided in the vestibule, the current double-door entrance was created by essentially switching places with the two windows. 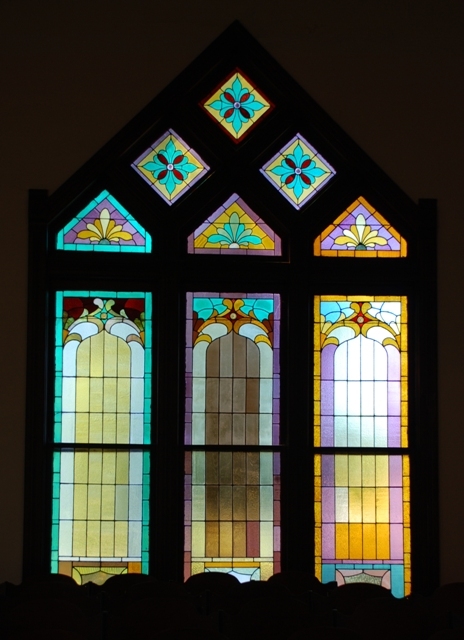 One of the Gothic arched stained-glass transoms that had graced the original single doors was somewhat awkwardly placed over the double doors, and apparently later in the 20th century, new doors replaced the old ones. So that’s where the exterior stands. The interior is really beautiful–the glazed doors, which I suspect are from the 1920s alteration, leading from the vestibule into the sanctuary give a really interesting feel to the place, almost like going into a private library. 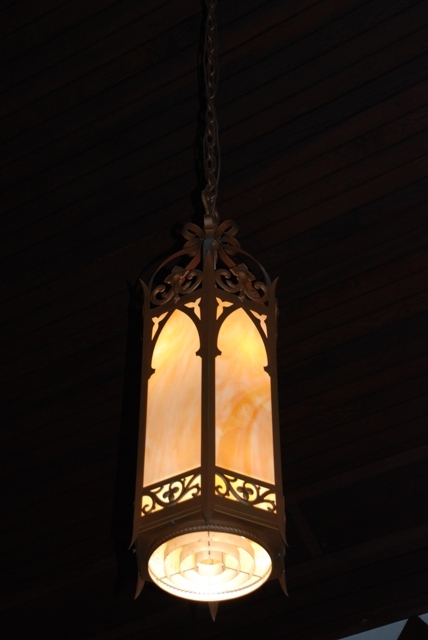 And of course, the stained glass, the light fixtures, the stained wood ceiling all combine for a calm and beautiful place whose beauty comes as much from the craftsmanship as from any ornate decoration. 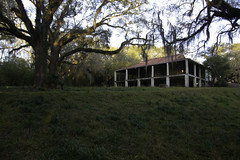 Do you know who built “The Dollhouse” , who the present owner is, and if it is occupied presently? My children attend Carroll Academy so I see it often and was curious about it. This home is owned by a young couple presently stationed in Germany. 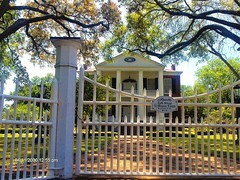 Formerly owned by the Bennett family and sold after parents passed away, Mrs Bennett was always called “DOLL”. I hope this answers your question.